An overheating engine can be one of the most stressful roadside emergencies a driver will experience. 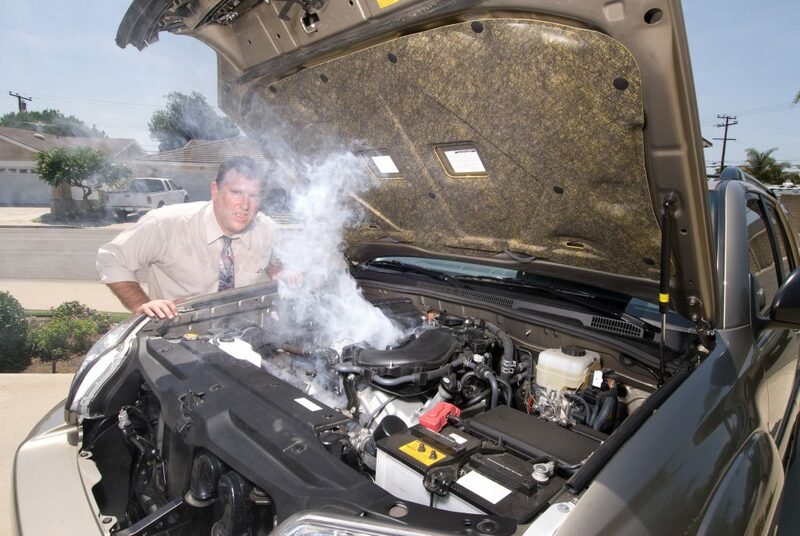 What should you do if your vehicle starts overheating? If the temperature gauge starts rising rapidly, pull over. If steam (often looks like smoke) starts coming out from under the hood, pull over. If your engine starts making unusual noises, pull over. If the check engine light comes on, pull over. Pull over as quickly as you can safely. If you are on a busy street, find a safe place to park your vehicle. Stay calm and do not put your family or other drivers in danger. Avoid the impulse to open the hood right away. If the engine has reached a very high temperature, you could burn yourself while opening the hood to look. Instead, wait a few minutes or until the temperature gauge has returned to a cool position. The most common cause of overheating is a low level of coolant. You can test the level of coolant or antifreeze in the radiator. If you’re not sure how to do this, check your owner’s manual or ask our technicians to show you where the coolant reservoir tank is during your next inspection. Our expert technicians are here to help. Call Kenny’s Lakes Area Auto Experts and we’ll help you to identify the best next steps – whether you can safely drive your vehicle to our auto repair shop in Oakland County or whether you should have your vehicle towed. With a thorough inspection, our team will be able to identify what caused the vehicle overheating so we can get it fixed and keep your family safely on the road!